The 2017 Naish All Around series consists of the brand new Quest series and old favorites, the Mana, Nalu and Alana series. Designed with accessibility in mind, the Quest Series features a broad range of incredibly stable shapes ideal for a wide variety of conditions, experience levels and riding styles. Constructed with an advanced, high-temperature molding process, Quest boards are lightweight and durable. Shaped for performance with optimized stability, Quests are an ideal fit for the full range of skill levels. The Quest series comes in sizes, 9’6″, 9’8″, 10’8″, 11’2″, and 12’0″. The Quest and Alana 9’6″ feature a performance-oriented shape with enhanced stability, the boards appeal to devoted waveriders and casual paddlers alike. Stemming from previous collaborations with Gerry Lopez, this intuitive design delivers super-smooth carving and a sizeable sweet spot. Accessible, durable and easy to ride, the Quest 9’6” offers great maneuverability in one “do-it-all” wave design that you won’t outgrow. The Quest and Alana 9’8″ are great for all-around cruising, touring, learning the basics and riding small waves, the boards feature an extra wide outline throughout the nose, midsection and tail providing incredible stability. Especially durable and lightweight for it’s volume, the Quest 9’8” features a quad-concave bottom— which channels the water from nose to tail—delivering unbelievable straight-line gliding for a board of this length. The contoured deck, full rails and squared tail create a huge sweet spot and heighten stability whether the rider is paddling in a straight line, pivoting or standing still. This well-balanced, easy-riding board is a great choice for families, newer paddlers and anyone looking for something sturdy, yet maneuverable. The Quest and Alana 10’8″ With a recessed deck and full rails, the boards deliver great versatility and stability. The longboard-style outline features a single-concave nose, which flows into a double-concave midsection and V tail, making it a great choice for everything from flatwater cruising, to surfing ankle-slapper waves, to charging double overhead surf. The “one-board solution” for recreational riding, the boards feature a M8 universal insert—which allows riders to transition from SUP to windsurfing—and plugs in the nose area which accommodate a bungee storage system to secure precious cargo when cruising and touring. The Quest 11’2″ and Alana Soft Top 11’2” are versatile and accessible, ideal for all-around cruising, exploring, learning the basics and riding small waves. The Alana’s soft top makes it the perfect yoga board. Incredibly stable at 32” wide, this board features an extra wide outline throughout the nose, midsection and tail.A contoured deck, full rails, squared tail and well-balanced design create a huge sweet spot for enhanced stability whether paddling in a straight line, pivoting or standing still, while the quadconcave bottom channels water from nose-to-tail for unbelievably straight-line gliding for a board of this length. The 11’2” boards features an M8 universal insert, which allows for use as a windsurf board and plugs in the nose area which can accommodate a bungee storage system for precious cargo. 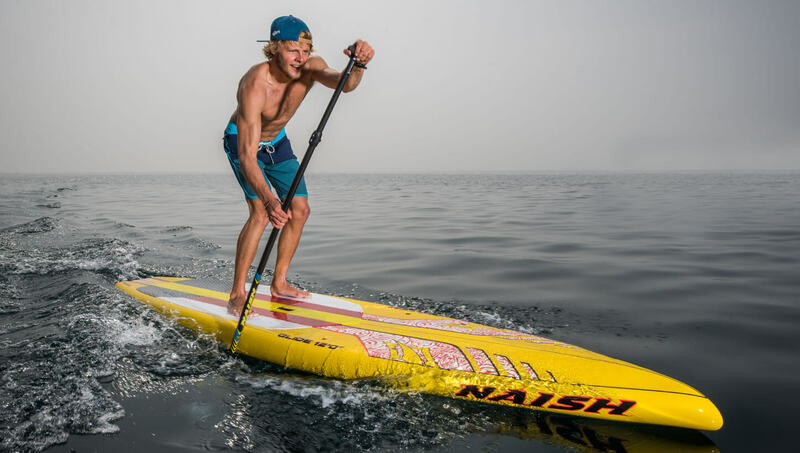 The Quest and Alana 12’0″ pack the DNA of Naish’s world championship-winning race boards into a stable, all around touring shape accessible to a wide variety of paddlers. The displacement bow effortlessly pierces through chop, while the deep single-concave tail and wider outline enhance directional stability, enabling riders to complete more strokes per side. Even volume distribution creates a large sweet spot helping riders of all levels find balanced footing with ease and confidence. The Quest 12’0” features plugs in the nose, which can accommodate a bungee storage system for precious cargo—a helpful addition for any touring session. The Quest series comes in its own unique construction of high temperature, pressurized aluminum molding, glass matrix deck and bottom, and molded EPS closed cell core. The series also comes in an S and soft top construction options depending on the board. With 3 mm of padding, the EVA soft top construction has a soft, yet firm surface structure. Spreading over the entire top of the board, this added traction is a great confidence booster when attempting those more challenging yoga poses, or when the little ones come along for the ride. 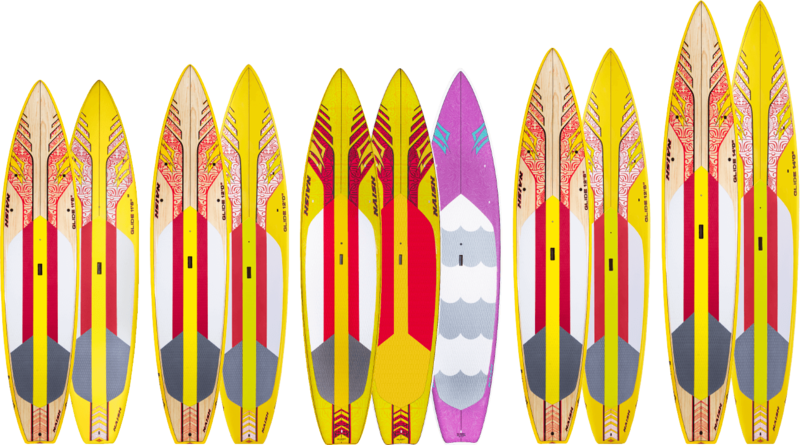 Besides the exciting new Quest series, Naish’s 2017 All Around collection includes the Mana 8’10” GTW/GS, Alana 8’10 GS, Mana 9’5″ GTW/GS, Alana 9’5″ GS, Mana 10’0″ GTW/GS, Nalu 10’6″ GTW/GS, Alana 10’6″ GS, Nalu 10’10” GTW/GS, Alana 10’10” GS, Nalu 11’0″ GTW/GS, and the Nalu 11’4″ GTW/GS. The Naish Mana GTW/GS and Alana GS 8’10” are both designed with surf in mind. The boards feature exaggerated tail rockers with wide platforms for stability and maneuverability in the surf. Their compact designs allow them to easily fit in minivans, sport utility vehicles and station wagons. The Mana GTW/GS and Alana GS 9’5″ feature an exaggerated tail rocker, V bottom and soft rails to make turning on a wave incredibly easy. The Mana performs best in medium to small surf, while the Alana was made for wave riding, recreation cruising and easy transport. The Mana 10’0″ GTW//GS features a wide, stable design for riders of any size wanting stability for small surf. It has an extra-wide outline for increased stability making learning and riding small waves remarkably easy. Its V bottom shape and exaggerated tail rocker also provide great turning characteristics. The Nalu 10’6″ GTW/GS and Alana GS 10’6″ are made for versatility. It has a wider outline, recessed deck and fuller rails for increased stability and wider range of use. 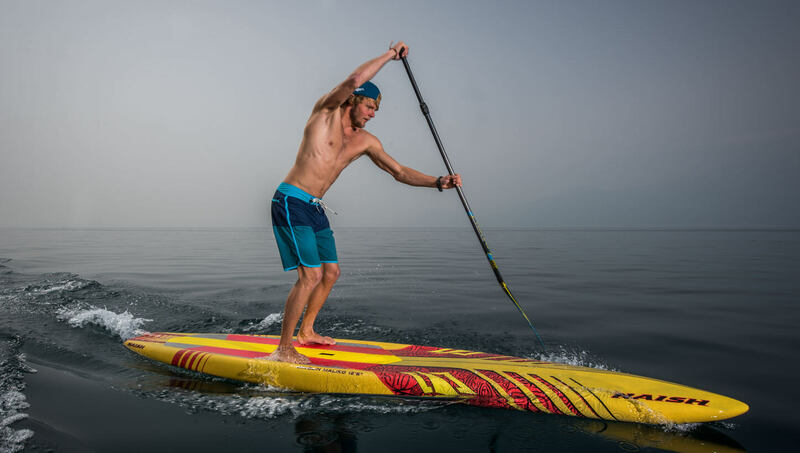 The singleconcave nose flows into a double-concave midsection and V tail making it adaptable to learning the basics, flatwater paddling and surfing. The Nalu GTW/GS and Alana GS 10’10” features a radical multi-concave bottom shape that channels the water from nose to tail. The multi-channel bottom combined with the low rocker makes it glide incredibly straight for a wide board of its length. The wide outline and slightly recessed deck in the standing area provide unmatched stability. The forward deck has eight insert holes for a bungee accessory to carry coolers and gear. areas, resulting in an extremely responsive board with easy maneuverability. It features a wide outline and double concave deck in the stance area for optimal stability and comfort. This addition to the Nalu range offers riders the highest level of true longboard surfing performance, making everyday a great day on the water. The Nalu 11’4″ GTW/GS features an all-around design for classic longboard surfing performance and flatwater paddling versatility. 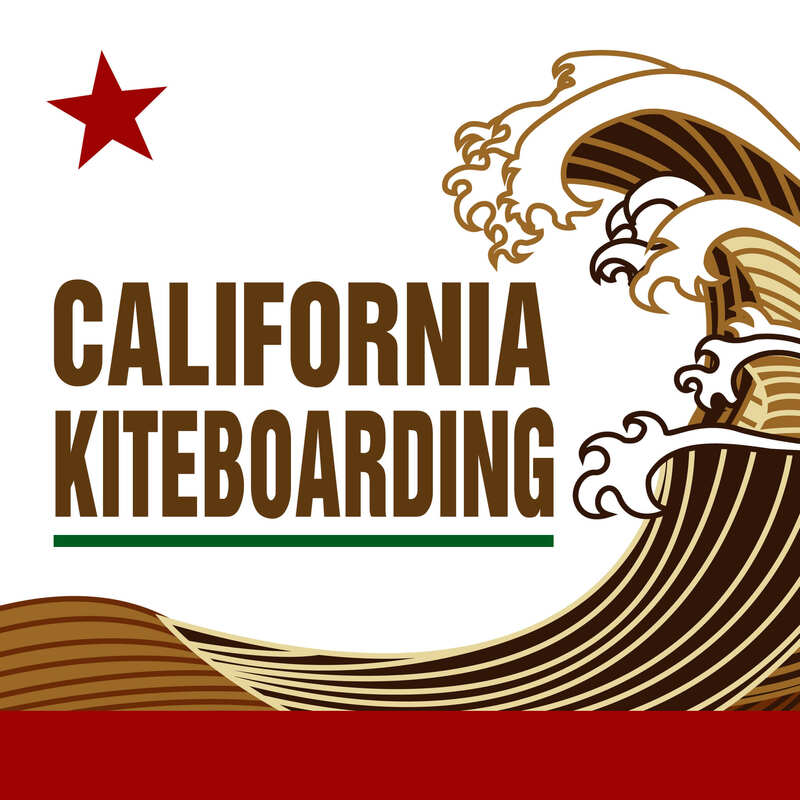 It is a well-known favorite for both waves and flatwater riding with its thin outline and progressive rocker. It is a superb well-rounded board for most riders and delivers versatility they will never outgrow. The 2017 Naish Touring boards consist of the Glide series and the Quest 12’0″. The Glide comes in 11’6″, 12’0″ 12’6″ and 14’0″ in GTW or GS constructions. The 11’6″ and 12’0″ boards are a great fit for a wide variety of riders, the fast and easy-to-paddle Glide Touring boards provide enhanced directional stability, making them the ultimate choice for all-around SUP touring. The outline—with its wider nose and tail—increases stability in a variety of conditions. Its displacement bow effortlessly pierces through chop, while a deep single-concave tail creates added directional stability, enabling riders to complete more strokes per side. In addition, even volume distribution creates a much larger sweet spot, helping riders of every skill level take their touring experience to the next level. The Glide 12’6” GTW/GS is the ideal choice for riders of any level who want increased stability for touring, enjoying downwind ocean runs, recreational racing and fitness training. Its developed rocker and bottom shape easily adapt to flatwater conditions while the tail rocker still allows for outstanding open ocean performance. The 12’6” is incredibly fast and easier to maneuver and carry when compared to performance race boards. It features a penetrating V nose and a flat rocker for phenomenal gliding performance and has ample thickness and width for stability and early planing on the open ocean in any conditions. performance and has ample thickness and width for stability and early planing on the open ocean in any conditions. The 2017 Naish Race boards consist of the Maliko and Javelin series all in their Carbon Elite construction. The Maliko comes in 12’6″ x 24″, 12’6″ x 26″, 14’0″ x 24″ and 14’0″ x 28″ sizes. The Javelin comes in 14’0″ x 24″ and 14’0″ x 26″. The Maliko 12’6″ sizes are ideal for advanced level riders and competition, this board is engineered to keep riders at their peak through sprints and long-distance runs. Its beveled rail in the nose raises the rail rocker line while keeping the center line straight and efficient, offering a more forgiving ride in chop and side-wind conditions along with improved handling in surf racing. 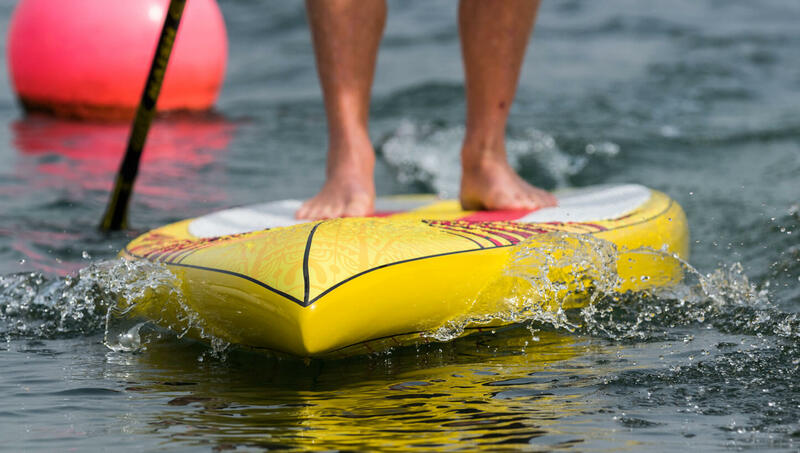 Perfectly balanced, this board offers just enough stability to combat fatigue on those long runs and keep riders aggressive at buoy turns, to take full advantage of key competition opportunities. 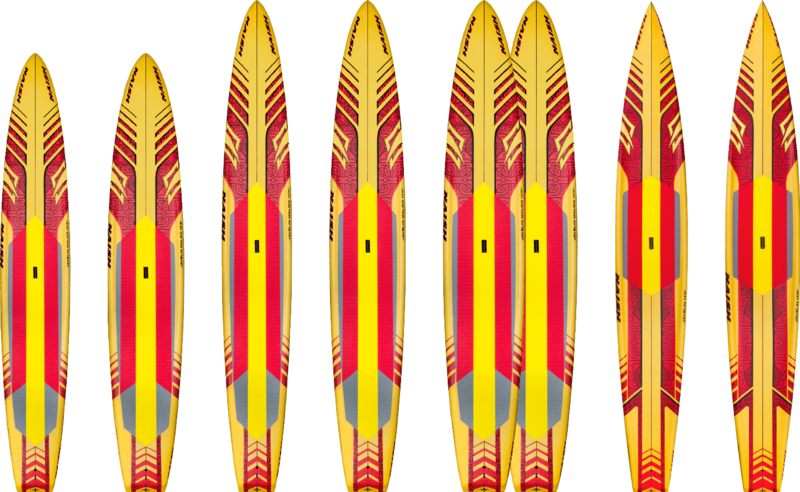 The Maliko 14’0″ is now even faster and more forgiving than ever before. Catching and riding glides is a breeze thanks to the new beveled nose, which efficiently pierces through chop for effortless transitions between open ocean and rough water conditions. The beveled rail, raised rocker line and adjusted center rock creates a sizeable sweet spot for a more comfortable ride. 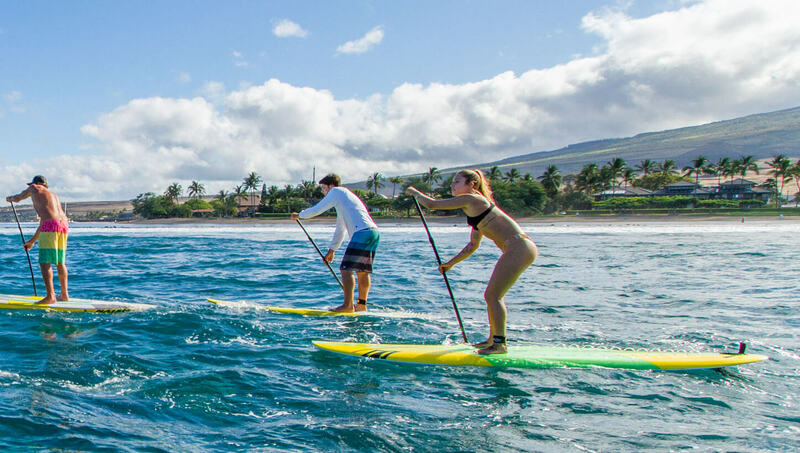 Available in three width options, the smooth-gliding board offers accessibility, stability and chop-eating efficiency in changing ocean conditions. In comparison the Javelin is designed to excel at pure flatwater racing, the Javelin 14’0” Carbon Elite is the pedigree of raceboards. Engineered for maximum efficiency, this board features a straight rocker line and a pure displacement hull—with round rails from nose to tail—which helps riders build and maintain momentum. The round displacement nose slices through water like hot butter, effectively releasing water around the board instead of disturbing water flow, to eliminate turbulence and maximize speed. The narrow entry strikes the perfect balance between stability and efficiency, freeing the rider to focus on building a consistent cadence over having to maintain balance. A recess in the stance area further improves stability, helping to combat fatigue and improve endurance. Smooth and unbelievably fast, the Javelin 14’0” Carbon Elite is the height of dedicated flatwater performance. Stay tuned for a second blog post about the 2017 Naish surf, inflatable, and foil boards! 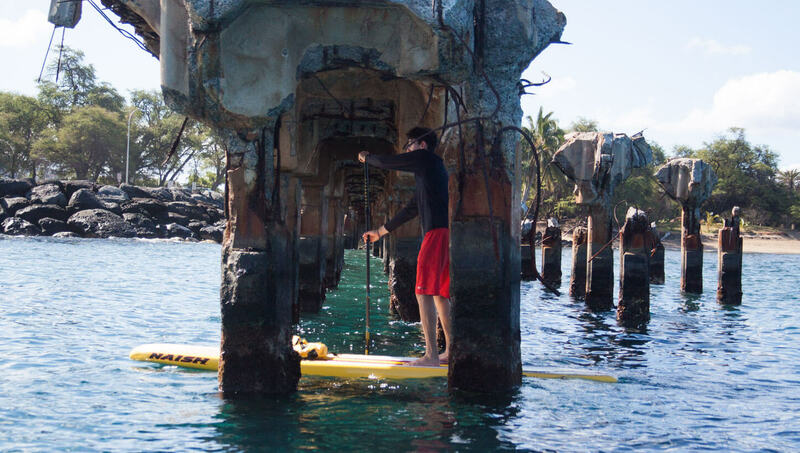 This entry was posted in SUP Equipment, Videos, Stand Up Paddle, SUP News and tagged SUP, Standup Paddleboard, stand up paddle boarding, SUP Race, 2017 Naish, Naish Quest, Maliko, Alana, Javelin, Nalu, Mana, Naish.